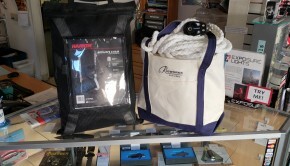 Question: How do I best use and maintain my hydraulic backstay adjuster? From the Rigger: Hydraulic cylinders allow us to pull tremendous loads without breaking a sweat and then to release those loads in a quick and controlled manner. Hydraulic systems on larger yachts can be quite expensive and complex with multiple cylinders, valves, 2-speed pumps, remote panels and pressurized reservoirs. For smaller yachts looking only to control backstay tension, there are “integral” units. An integral unit has the pump, reservoir, valve, and cylinder all integrated into a single compact unit. 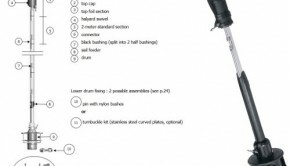 Integral backstay adjusters are easy to use. Simply close the valve and pump the handle to increase tension, then open the valve to release tension. Remember that the valve should only be finger-tight. Some units even have built-in relief valves to prevent over-tensioning. 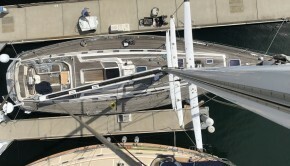 Integral backstay adjusters can last upwards of 15 years if properly used and regularly serviced. The best way to keep your unit working is to use it! 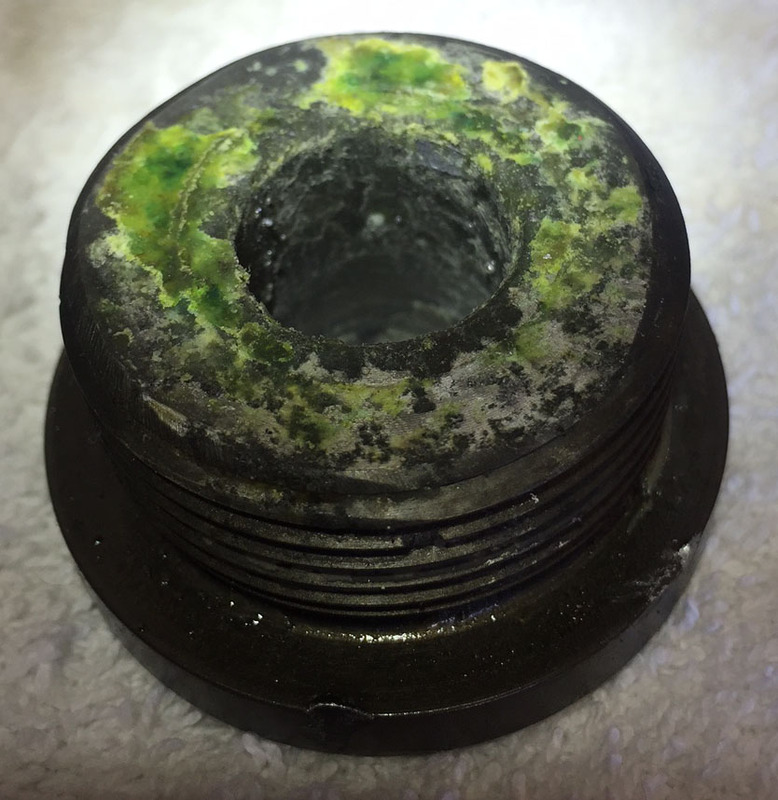 Hydraulic components that sit idle for extended periods of time are prone to premature failure because the seals do not get exercised and then, when they are put under stress, cannot perform. 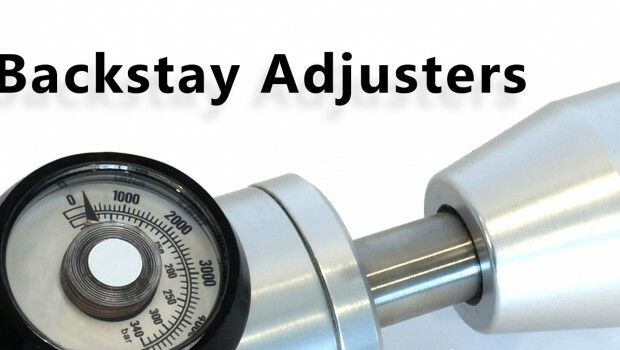 Your integral backstay adjuster should be serviced by a qualified technician every 3-5 years depending on the conditions of use. 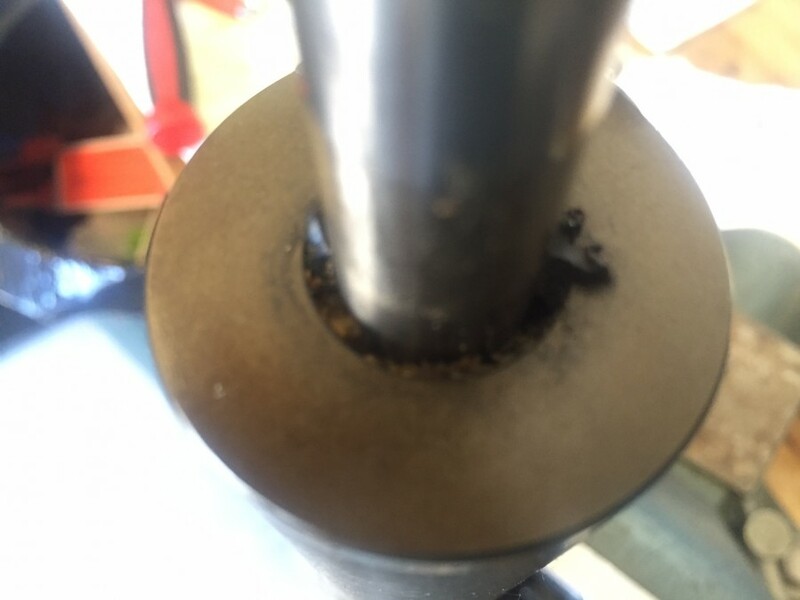 Deteriorated Wiper Seal - The wiper seal is on the top of the cylinder body (inside the top cap) and wipes the piston rod clean as it moves in and out. 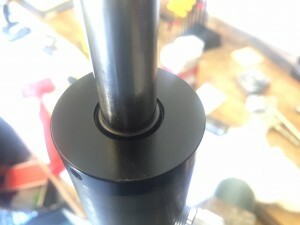 The first image shows a newly rebuilt cylinder. The second image shows a deteriorated wiper seal (internal damage was so bad on the latter that it had to be entirely replaced). The piston no longer moves. 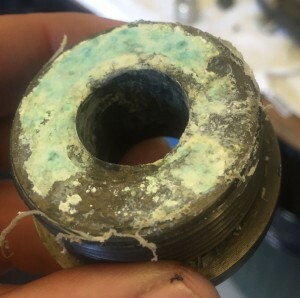 The interior of the top cap, where the piston rod travels, becomes so corroded that it acts like a clenched hand around the rod and keeps it from moving. To fix this, you will pay to replace the top cap ($100+), perhaps a damaged rod ($150+) and the added labor associated with the rebuild (~$100/hr). The top cap cannot be removed. 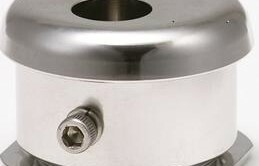 The bottom of the top cap and/or threads of the top cap have corroded to the point that the unit cannot be disassembled (we like to call this “environmental welding”). Often times this means replacing the entire unit or paying almost as much to rebuild it. Pump piston leak - Another common issue is oil leaking out of the bottom of the unit. 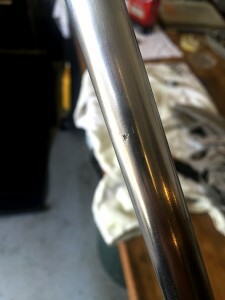 This is caused by the pump piston seal being damaged or worn out. The cylinder may still function, but at some point the pressure will overcome the seal, causing fluid to leak out. Generally this is not an indicator of a major problem, and the unit can be fixed with a simple rebuild. Won’t hold pressure – This has to be the most common ailment. This is usually caused by worn seals or debris in the release valve. Both of these things can be easily remedied with a simple rebuild. But it can also indicative a damaged piston rod or piston. The piston rod can be easily inspected by fully extending the cylinder and looking over the entire length of the rod. If you see anything slightly suspicious, “scratch” it with your fingernail. 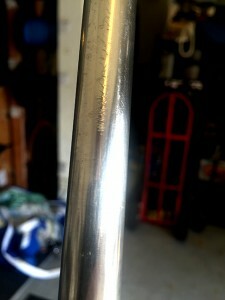 If you can feel a bur then chances are the rod is damaged and needs to be replaced. Rigworks, Inc. is a dealer for all the major brands and a service center with full factory support from Navtec, Sailtec, Harken and Holmatro. We also service Cariboni, Fleet-Hydrol and Enerpac. Our extensive knowledge & experience and a large inventory of spares and seal kits allow us to offer high quality work with a quick turnaround. If you have questions about anything hydraulic, please call us. We would like to be your one-stop hydraulics shop. Do you have a question that you would like us to answer in future “Ask the Rigger” newsletters? Email us and let us know. We welcome your input!